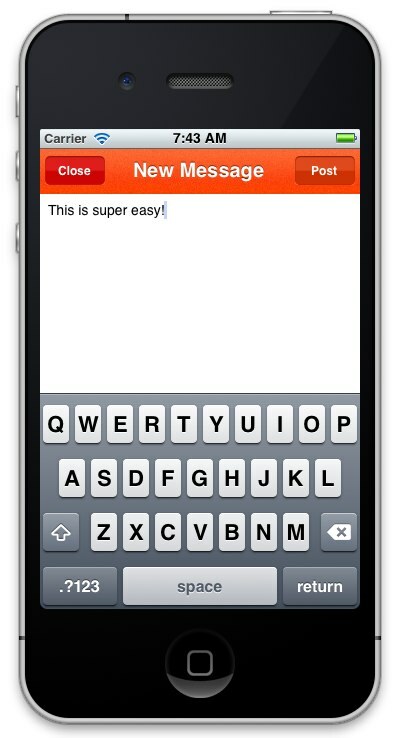 Messagee is a simple Twitter-style messaging application that leverages the extensive functionality of Usergrid. 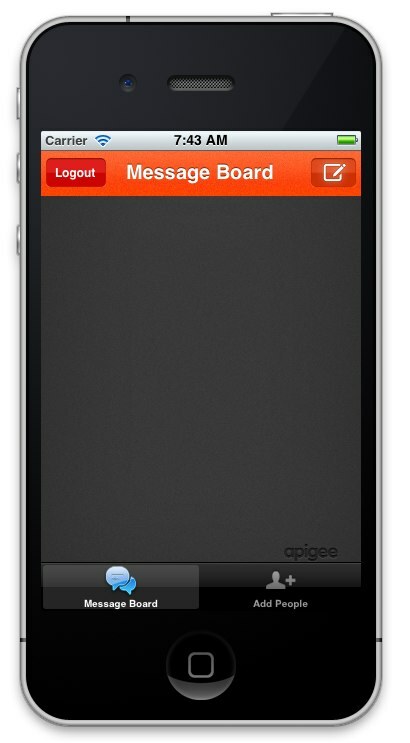 This section describes some of the features of Messagee. 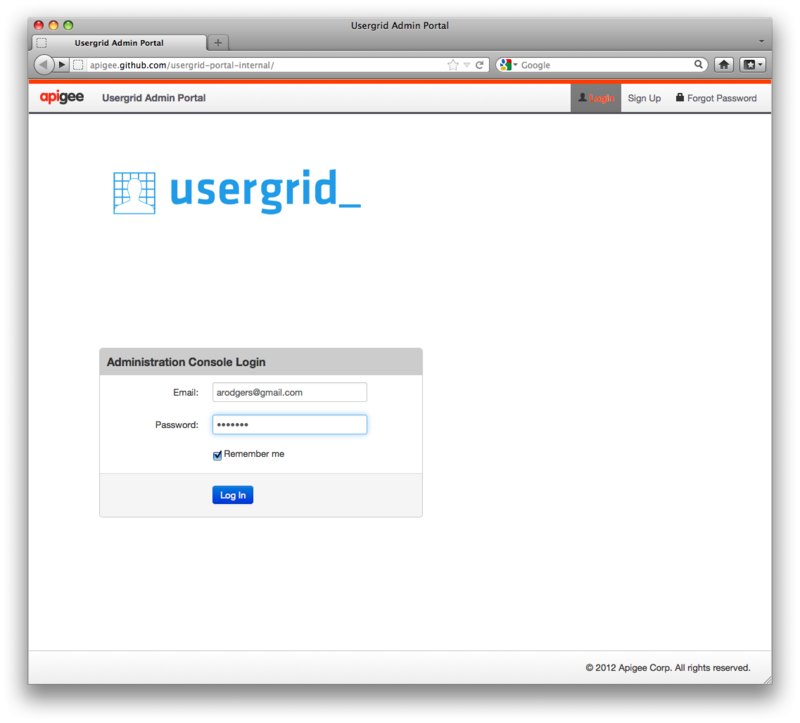 Go to the Usergrid portal and login. 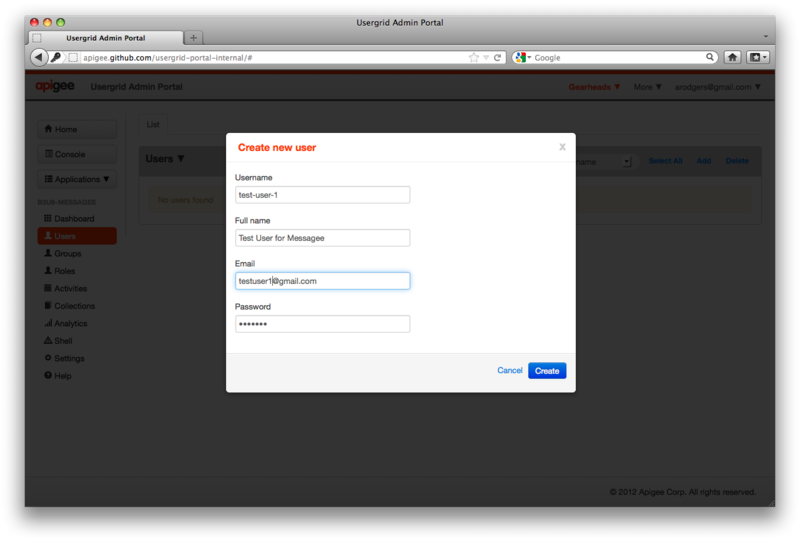 If you are new to Usergrid, sign up for an account, specifying an organization (e.g., the name of your company or project team) and a username and password that you can use to authenticate. Because Usergrid are designed for use by development teams, the same username can be associated with one or more organizations. 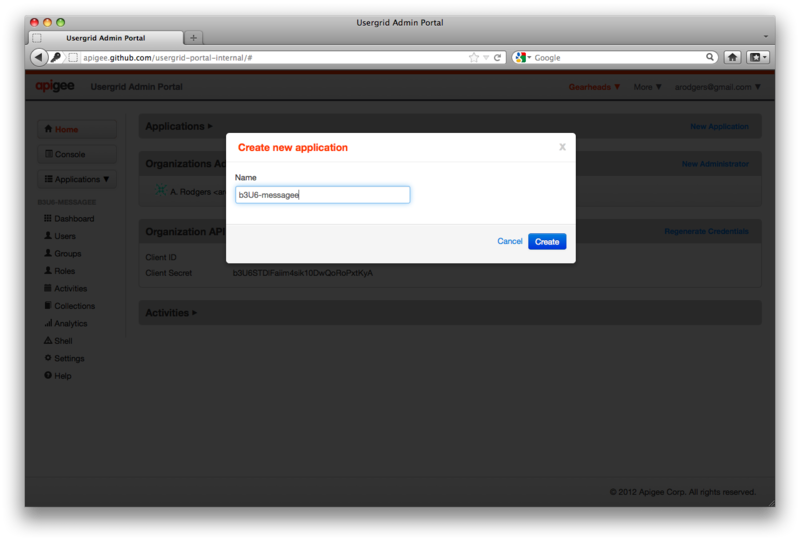 If the correct name is not displayed, click the menu and select your application. 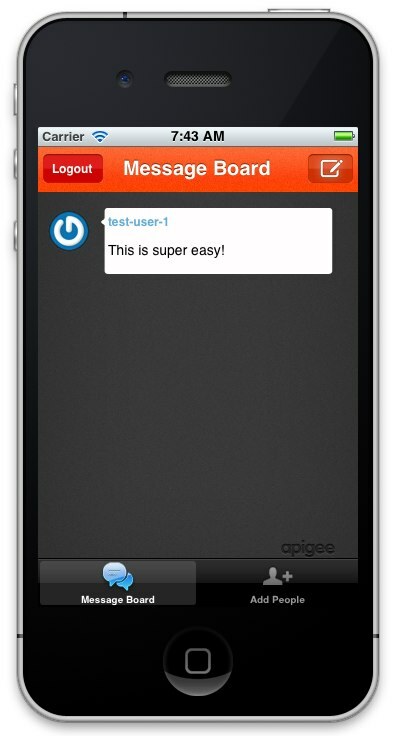 Next, you need to populate a test user user-test-1 that is going to log in to your copy of the server-side Messagee app. Run Steps 1-5 under Creating an app and users. 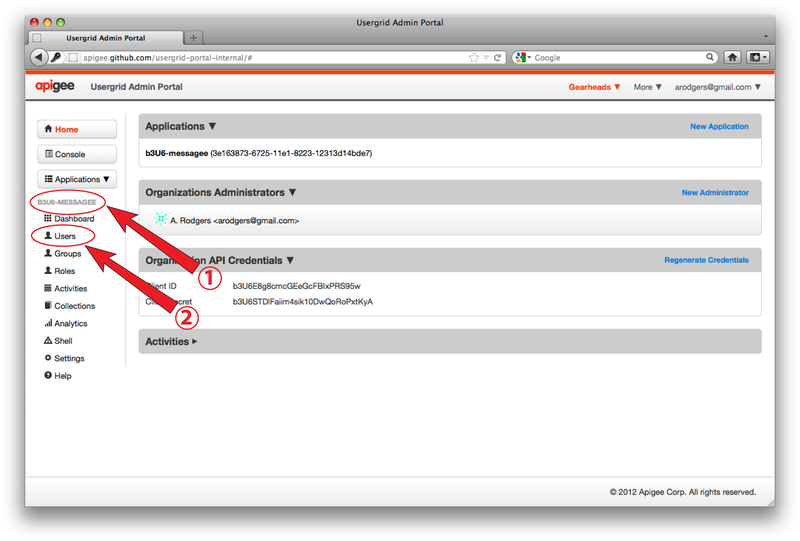 These steps create a unique instance of the Messagee app on the server and two test users, test-user-1 and test-user-2. For your instance of the Messagee application to act like Twitter, you need to “follow” another user. Go back and log in as user test-user-1. Because test-user-1 follows test-user-2, you should see the message sent by test-user-2 in the message board. 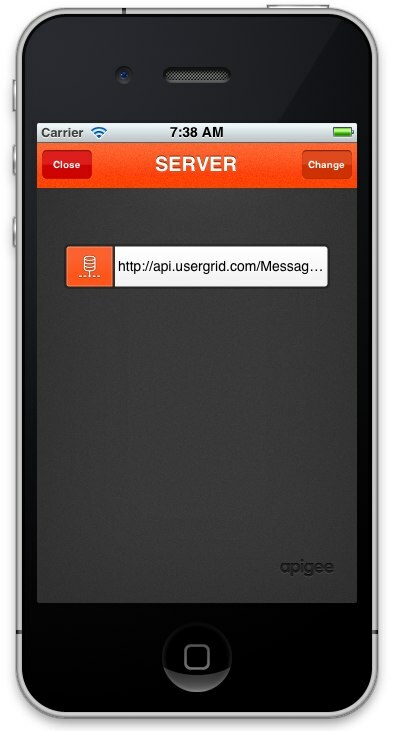 If you want to write iOS applications that connect to Usergrid, download the Usergrid iOS SDK. 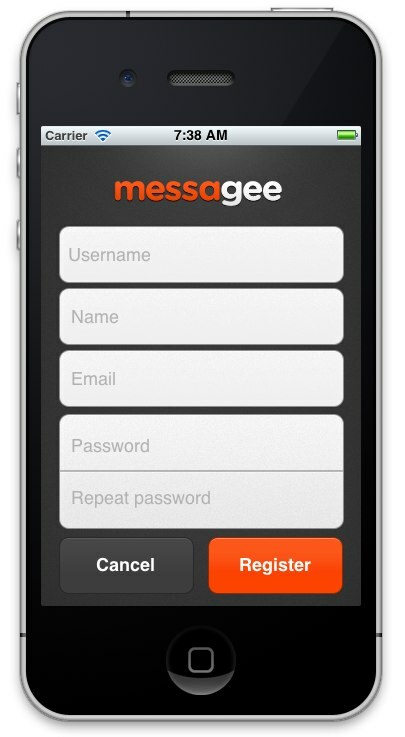 Note: The Messagee iOS application uses RestKit, a popular REST framework for iOS, to communicate with Usergrid. 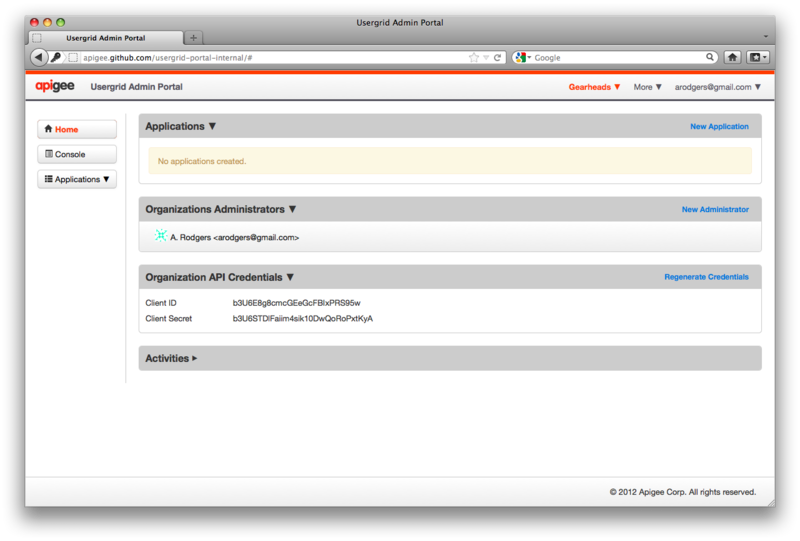 Because Usergrid use a REST API, you can use any REST framework to talk with the service. However, the official Usergrid iOS SDK provides a more convenient communication mechanism that you should use unless you’re already using RestKit or some other framework in your project. 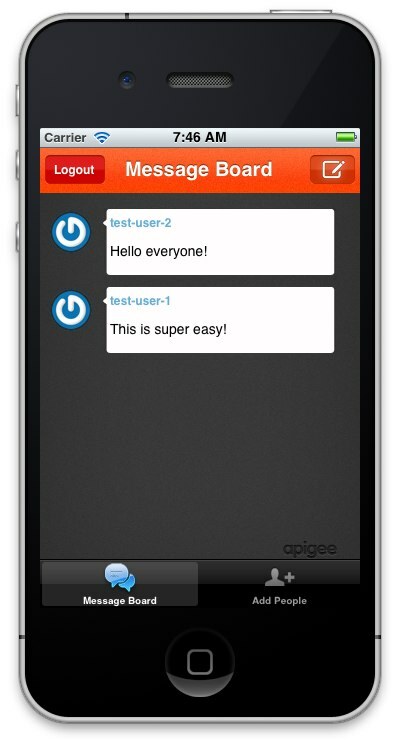 Messagee is available as a sample Android app that acts as a Usergrid client. 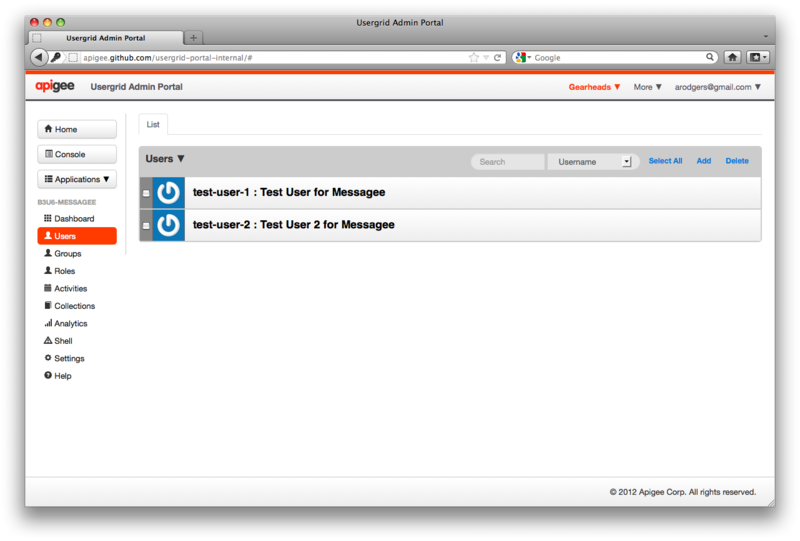 The source for the Android version is packaged with the Usergrid Android SDK in the /samples/messagee directory.